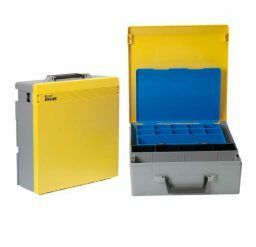 A single Rola case comes with 21 adjustable compartments and 1 tool compartment in front of the case. 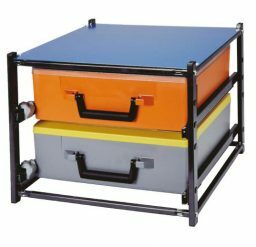 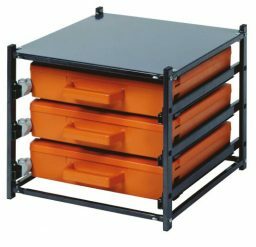 It’s a versatile storage system that can house small items, instruments, or tools. 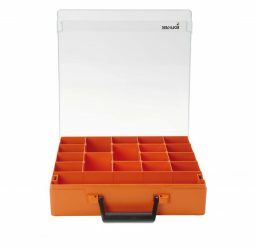 The lid opens at 180 degrees for easy accessibility and it has a sturdy locking system which keeps your items secured. 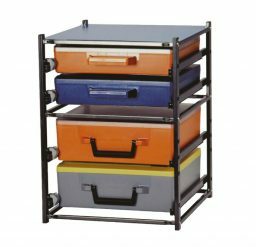 The compact design allows you take your storage system wherever you need to go.